Larger-than-life country duo Big & Rich are set to release their upcoming album Did It For The Party for September 15th. The highly anticipated project features 13 brand-new songs, all produced by Big Kenny and John Rich. Big & Rich fans, who are dubbed the “Freak Parade,” can pre-order the album now digitally, where they will receive an instant download of the new single “California,” along with the title track, “Did It For The Party.” The album will also be promoted at Walmart stores nationwide through a newly announced partnership with TWIX. “California” is off to a rocking start, currently inside country radio’s Top 40. The video for the song was also recently released. Just like the song’s lyrics, the video spotlights a young woman and her journey to California. Upon its release, the video was featured by HitsMeUp, where it was also promoted in more than 100 major cable markets in a series of commercials highlighting the video. Did It For The Party will bring Big & Rich’s music to a whole new level. In addition to the lead single, the remainder of the album is classic Big & Rich, featuring a combination of upbeat anthems like the “Congratulations (You’re A Rockstar)” and “No Sleep,” while also showing the hell raiser’s softer side in the ballad, “Turns Me On.” They are also teaming up with Thirty Tigers and Sony RED for marketing and distribution for Did It For The Party. Known for their timeless party anthems like “Save a Horse (Ride a Cowboy),” which was just included by CBS This Morning for their Spotify Playlist, the duo continues to defy the odds since launching Big & Rich Records. 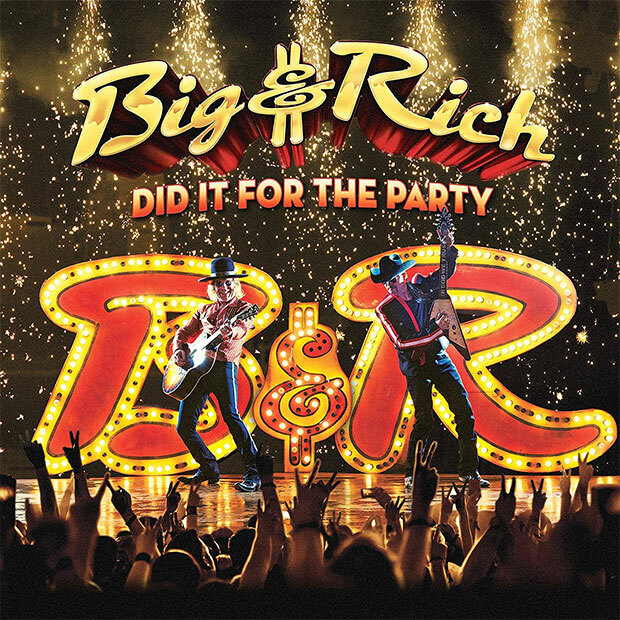 Fans can catch Big & Rich on the road, where they will get the chance to hear new songs from Did It For The Party performed for the first time ever.